Arch Academy of Design,Admission, Courses, Fees, Photos and Campus Video, Review, Ranking Details. Courses offered include Undergraduate, Postgraduate and Certificate level courses in Fashion, Interior, Product, Jewellery, Graphic, Photography, Digital Design and Design Communication, coupled with specialized courses combining Design education with Business and Entrepreneurial knowledge. ARCH is affiliated to the University of Rajasthan for Bachelor of Design Degree (B.Des) along with Master Degree in GPEM. ARCH is also affiliated to the Rajasthan ILD Skills University (RISU) for Bachelor and Master’s in Vocational studies. 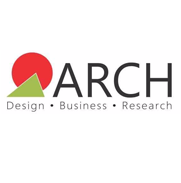 ARCH in strategic partnership with Pearson, is accredited to deliver six BTEC Level 5 HND qualifications in Art & Design. Candidate must have completed 10+2 from a recognized board. 1. Register and Apply: Interested candidates can apply online/offline with required information. 2. Personal Interview: Shortlisted candidates will be called for personal interview based on marks obtained in 10+2. 3. Portfolio Screening: Shortlisted candidates will be called for portfolio review based on personal interview. 4. Final Selection: Candidates are selected based on performance in personal interview and portfolio review. Arch Academy of Design (ARCH) was set up in the year 2000, to impart industrially and globally relevant, specialized education in Design. Through the 18 years of our existence, we have grown into a strong community of 6000 professionals, alumni, students, teaching faculty and support staff, all of whom, with their incredible energy and enthusiasm, have been a part of our journey. Our nurturing environment offers a place where you meet new people, seek new things, and unearth hidden talents. Our international representation has increased remarkably over the years, with students & faculty members from Sweden, Japan, Spain, UK, USA, Canada, Nepal, Iran, Korea, Kuwait, Dubai, Colombia, Brazil, etc. choosing to study and contribute with us. Archana Surana is the Founder & Director of the ARCH College of Design & Business. Her experience over the last 23 years in the delivery of design education has ensured that ARCH imparts specialized and industrially relevant education. She established ARCH in the year 2000. Benoy Thoompunkal After reading Economics at St.Stephens College, Delhi, he went on to specialise in Furniture Design from the Faculty of Industrial Design at the National Institute of Design, Ahmedabad. As a practicing Design Consultant and academician for over 32 years, he has worked in the multifarious fields of design, ranging from Heritage Conservation & Product Design to Interiors, Space & Structure, Lighting, Exhibitions & Display, Clock Design and Photography, among other things; providing his expertise towards conceptualization and execution of various national and international projects. Dr.Neena Jaju Pingaley is an Educator, Researcher & Design Practitioner with a Ph.D. in Lighting Design from The M.S. University of Baroda, where she spent two decades as a Professor in Interior Design and Family & Community Resource Management. She holds an Advanced Educators Certification in Sustainable Lighting from the Lighting Research Center at Rensselaer Polytechnic Institute, Troy, New York. She is also a Life Member of the Indian Society of Lighting Engineers.Her work predominantly has been in areas of Education, Design & Social Research and Environmental Lighting. She has led development of Curriculum & Interdisciplinary Pedagogical Frameworks of Design Program at UG & PG levels at various Universities. She has guided numerous Researches in diverse areas such as Spatial Design, Lighting, Elderly Spaces, Entrepreneurship, Stress Management & Consumer Behavior. Richa Lakwal is an alumna of the National Institute of Fashion Technology. With an overall industrial and academic experience of 10 years, she has worked as a Fashion & Apparel Designer with well established export houses, retail brands and Multi-National Companies. She has also worked with Khadi Gram Udhyog, Jaipur and successfully spearheaded the Jaipur Metro Rail Corporation Uniform Design project at Arch. She has authored and presented a research paper titled ‘Dyeing to Sustain: Encouraging Eco Conscious Lifestyle & Social Responsibility’, at the International Conference on Fashion, Retail and Management held at the NIFT, Hyderabad which is published in the book ‘Reflections- 2014 - Contemporary Issues and Trends in Fashion, Retail & Management (ISBN:978- 81-7800-297-2)'.Her areas of interest and expertise include Draping, Garment Construction, Finishing Techniques, Styling, Surface Ornamentation, Costume Designing, Material Exploration and Research Design. Alpi Jain Holds a B.Arch Degree from Mumbai University and M.Arch Degree in Industrial Design from the School of planning and Architecture, New Delhi. She has a comprehensive work experience of over 13 years; including her stint with firms like Indistore, ANA Design, Timbergrain, and International companies like Haworth India Pvt. Ltd. etc. Her projects include working with ITDP (The Institute for Transportation and Development Policy) for Designing Tricycle for Mahaveer Viklaang Samiti; as a Design Consultant for KVIC to prepare course material (Pottery) for Rural Craftsmen; and as a project manager for building flagship stores for International Brands like Christian Dior, Salvatore Ferragamo, & Armani in New Delhi and Mumbai. She has been engaged in academia for over 4 years. A library acts as a catalyst for the genesis of new ideas. Our library houses a one of its kind E-library to promote learning online. Designed to engage and encourage selfpaced learning and research; it offers a large collection of books, international journals, e-books, and films that are available for students and faculty. ARCH's library follows an open access system for users with over 3500 digitised books for reference. The campus library's collection includes more than 4000 books along with bound volumes, graduation projects, student portfolios, e-presentations, reports, subscriptions, journals, periodicals and magazines. Our collection includes books on Interior Design, Communication Design, Graphic Design, Product and Accessories, Exhibition Design, Fashion & Textiles, Art & Craft, Humanities, and Architecture. The campus also has a well-stocked stationery shop for students enabling the convenient purchase of required material pertinent to course and activities. Auditorium is adequately set up with a sound system, audio visual system and projection screen to handle large meetings, seminars, symposiums, guest lectures, and workshops throughout the year. The auditorium is also used for extra curricular activities. The Academy has a cafeteria serving hygienic and nutritional vegetarian food and a 'tuck shop' offering packaged food, snacks and drinks. The Copy Centre offers a range of services; including black-and-white and colour copying, wire/comb binding, lamination, digital printing etc.